The gardeners choice for planting annuals and perennials. Specifically formulated with compost and Canadian Sphagnum Peat Moss. The gardeners choice for planting annuals and perennials. Use for vegetable planting and trees & shrubs Specifically formulated with compost and Canadian Sphagnum Peat Moss. 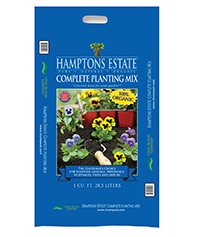 For planting annuals and perennials.